WHICH WILL ALLOW YOU TO CLEARLY UNDERSTAND WHAT THEIR OPINION OF YOUR SITE IS... SO THAT YOU CAN START INCREASING COMMISSIONS, SUBSCRIBERS, AND YOUR PROFITS! Warning: If you are not "listening" to what your visitors are thinking about your site, you are missing out on TONS of profit... Fix that RIGHT NOW. 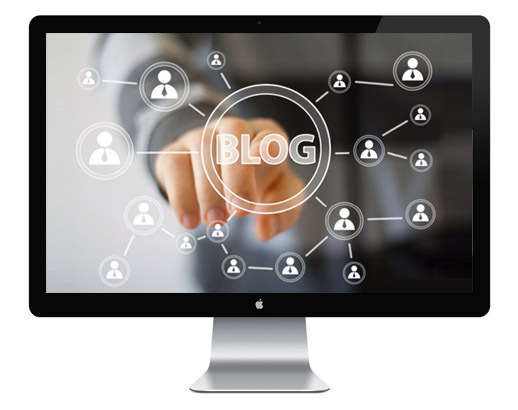 POST OR PAGE OF YOUR BLOG! But what really surprises me is that very few of them are actually taking some time for something really important: discovering WHAT their visitors really want. It seems so simple (and it really is) yet why is that marketers usually never take time for something so critical? Well, today I am about to show how you can finally increase your profits, conversions, and YOUR business in a way you would never imagine. In fact, with just a few clicks of your mouse, you will be already on your way to transforming your blog into a cash-producing "machine"! A TREMENDOUSLY POWERFUL AND DEADLY-EFFECTIVE WP PLUGIN.... DISCOVER EXACTLY WHAT YOUR VISITORS ARE THINKING ABOUT YOUR BLOG, PRODUCTS OR SERVICES AND USE THAT INFORMATION TO YOUR ADVANTAGE! AT THE PUSH OF A BUTTON, QUICKLY AND EASILY CREATE SURVEYS AND POLLS. And What's More: You Can Set A Direct Link Into Each Survey's Answer And Re-direct Your Visitors To Any Page You Want, Depending On What Your Visitors Choose! You can extract critical info, TODAY, that most marketers do not bother to get... and the best part is that you won't have to put out any extra effort. Nor will you spend countless hours trying to "figure out" what your visitors want. I already took care of that: by creating a slick, easy to use, and highly-profitable WP plugin that will allow you to accomplish exactly this. 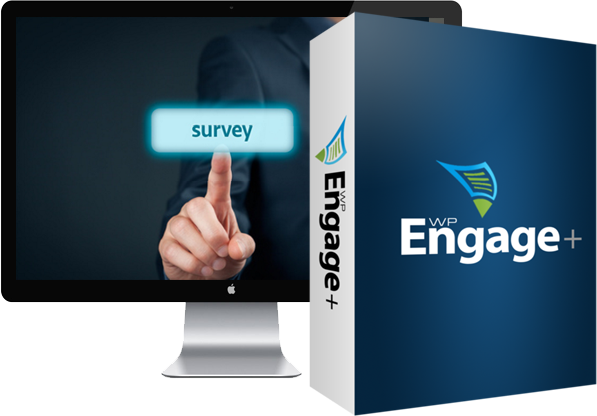 WP Engage + is a fantastic and useful WP plugin that will only take you seconds to install and use; and it will enable you to create engaging polls and surveys. You can basically create these polls and surveys into any page or post on your WP - quickly and easily. Basically, this wonderful tool will allow you to understand what your visitors are thinking about your blog and, as you might know, this is the "formula" to success. When you understand what your visitors want, it doesn't take much to start seeing better results with your blog. Also, as I told you before, the beauty of WP ENGAGE+ is that you can set a direct link into each survey or poll, so that your visitor will be directed to different pages depending on what they answered in the poll. I think you have to agree that this is a VERY powerful way to drive MORE traffic to any offer or website! 30-day money-back guarantee - if you are not satisfied with your purchase then no worries, let me know and I will refund your money without asking stupid questions or passive aggressive comments. Either way you are happy with my unique plugin or your money-back. Each survey or poll can be embedded on sidebars, in posts, and even on pages (again, you have complete freedom to choose where your polls are going to be. Complete and FULL customization, so that you can have more choices to increase your profits: You can change the style for survey header, footer and content... control how the polls are looking and appearing in each page. In depth and precise results and statistics: this is perhaps the most powerful feature of WP ENGAGE+... this amazing plugin provides you with useful snapshots of critical data that you can use to YOUR advantage. IF YOU WOULD LIKE TO FINALLY INCREASE YOUR PROFITS, COMMISSIONS, AND IMPROVE YOUR ONLINE BUSINESS TO VERY PROFITABLE LEVELS ALL YOU HAVE TO DO IS CLICK THE "ADD TO CART" BUTTON BELOW RIGHT NOW! GO AHEAD AND CLICK THE ADD TO CART BUTTON BELOW AND CLAIM YOUR PERSONAL COPY OF "TIGER WP ENGAGE PLUS" RIGHT NOW. Right here, right now, I am opening the door that most marketers usually ignore, and not only that... I am providing you with the exact tool that I am using to get the critical info that I will later use to make better moves. If you truly want to finally understand and know what your visitors are thinking and make strategic decisions that will make you more profits, then the choice is more than clear don't you think? CLICK HERE to secure your personal copy of WP ENGAGE+ right now! Now, to conclude, I would like to thank you for taking the time to read this... I know that you are busy! With WP Engage Plus Lite version you will be able to use and test many premium features of the plugin.